In this section you will find information about our different training camps. These are organized under the International RFT Deutschland Training Camps. 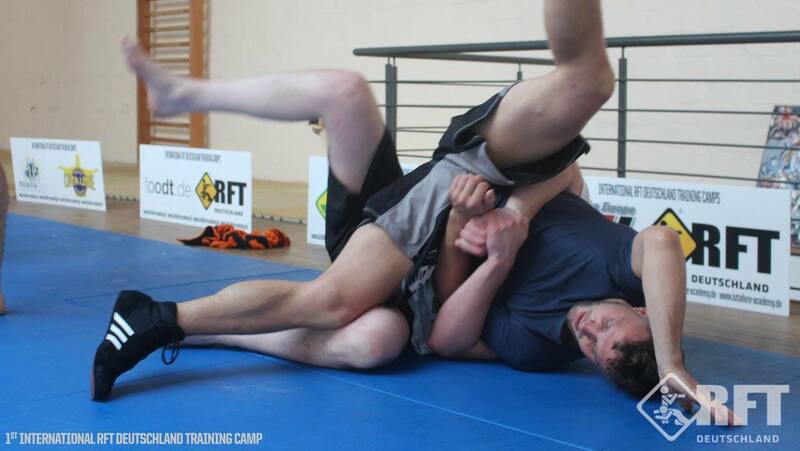 We do also support the Training Camps of the Welko Academy for Luta Livre Projects. 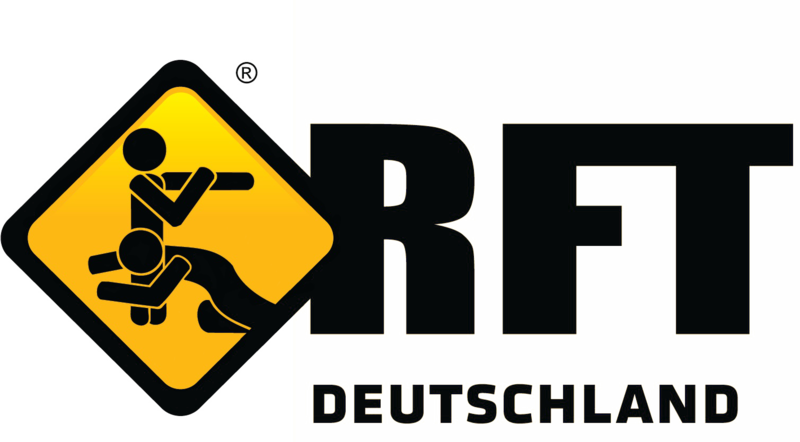 The 2nd international RFT Deutschland Training Camp will be held in the hanseatic city of Lübeck. The city of Lübeck is situated by the Trave River in northern Germany having over 1,000 years of history and being declared as an UNESCO world heritage. Lübeck was the first city in northern Europe to ever receive this status. The city is famous for its brick Gothic architectures and its Marzipan industry. 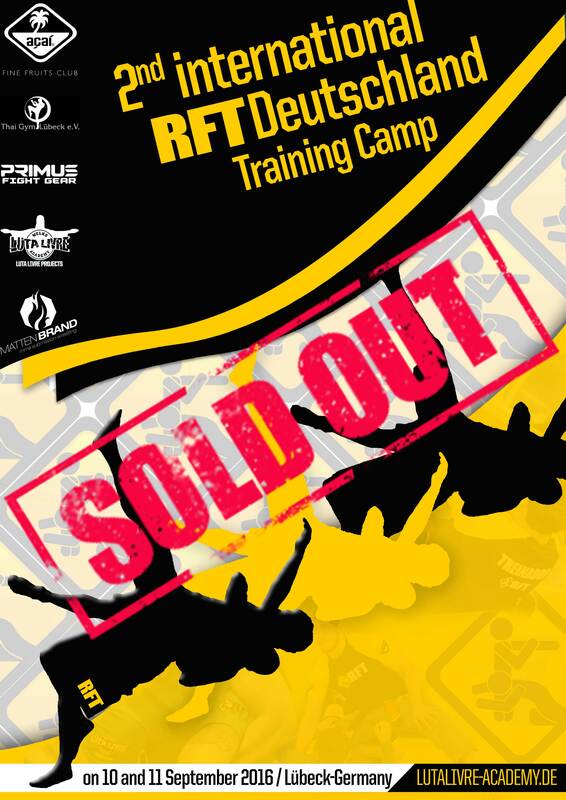 The camp is designed and led by RFT Luta Livre Black Belt Nico Welko, who is going to emphasize on teaching on the highest percentage takedowns, submission techniques, counters, sweeps and escapes in the style of RFT Luta Livre by undergoing the rigorous RFT technical and tactical approaches. "I came from Russia for the camp and it was a great international technique sharing experience learning by keeping basic principles in mind. 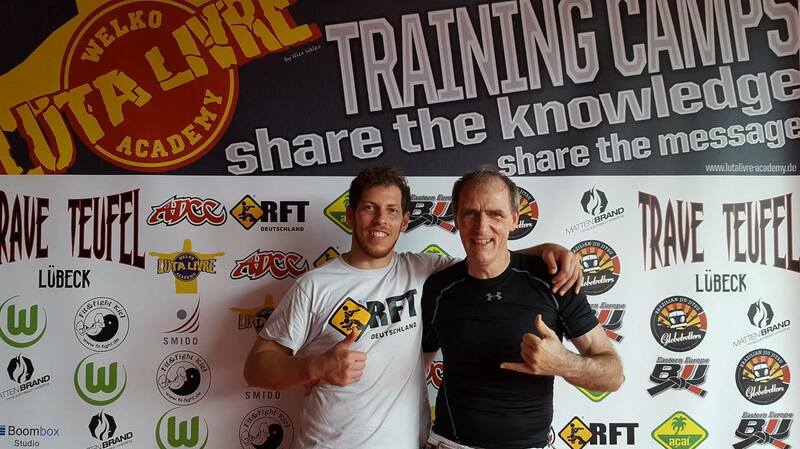 Thanks to Nico for the camp and for teaching a logical matrix of techniques in which the sequences are build upon each other so good that I could progress from the very beginning to the more advanced techniques without any lack of understanding. Thanks to all participants for the cool and easy-going atmosphere, for learning together and sometimes for also helping me correct the details in my techniques. Thanks to Yoga trainer Darius for this new life experience - I thought to be more prepared in this respect )))). And of course, it was awesome to feel being a part of a Luta Livre team and to get acquainted with other lutadores! I hope to be able to participate in the next events to continue my Luta Livre development". "It has been my third camp participation now and as always I brought Tony with me. Why? Quite simple: Because I love my son more than anything in the world. I want to show him that he is a part of my life and therefore it is my duty to bring him to the camps with me. I want to teach him the true values, that he doesn't stay on the way but rather that he belongs to it. I want him to experience what it is like to be part of a Team, to experience the sense of community, its relevance and these things I can find in sport. Every time he is there, he can experience the joyful atmosphere, how we train, how much fun it is, how one can progress and improve. I mean he is just 5 years old but he joins the training sessions, has fun playing, fooling and "scrambling" around with his dad. The participants joke and laugh with him and on the way back home he once said "Dad, it was good that I was able to join the training once again and I even made sure that you all could laugh". He is not forced to do a thing. Sometimes I miss some lessons but it doesn't matter because I can playfully roll with my son, cuddle with him, spend time with him, ensuring that his general development goes in the right direction. He ask me constantly when we are finally going to train again and that shows me that he really enjoys it. Thanks to you all for that!" 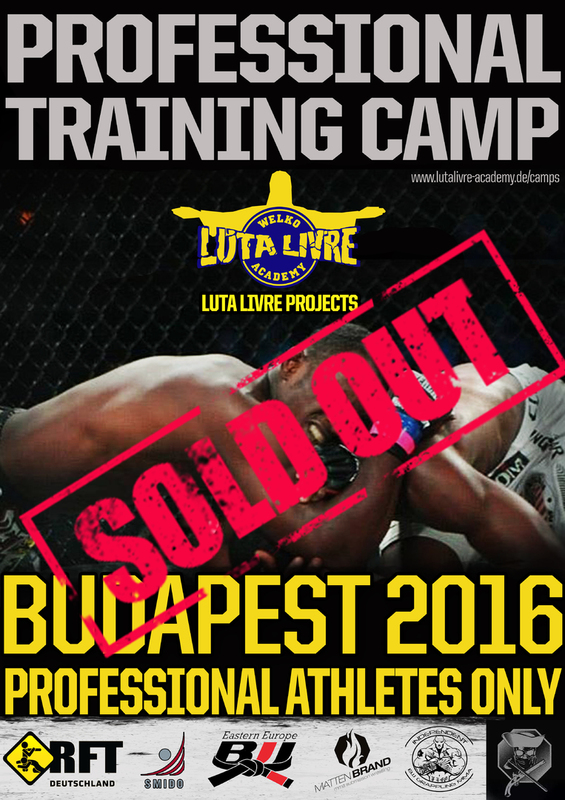 "The Luta Livre camp was a great experience. The schedule was structured into technical, drilling and rolling sessions with high level of methodical and didactical instruction and guiding quality. Nico's trustful and wonderful easy-going personality guarantees a relaxed and motivating atmosphere during the camp. He provides corrective instruction very carefully during the practice phases, allowing not even errors or mistakes to creep in. The awesome group of participants also ensures a good atmosphere and a fantastic knowledge exchange. The Thai Gym Lübeck was a great host and the yoga class rounded off the successful weekend. My participation for the next camp in Wolfsburg is already entered in my calendar"
"So far I have participated in two camps and the third one is already booked. In the meantime the participants know each other from previous camps, but it is always fun to train with the new ones and also to exchange ideas and techniques with them all. 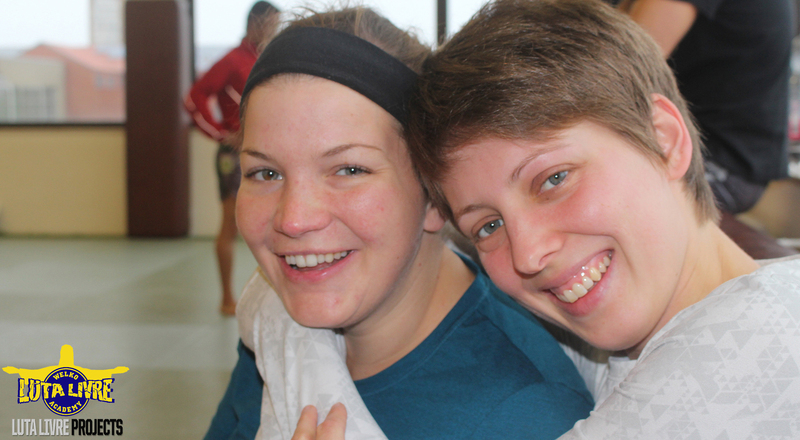 In the camps there is always a relaxed and cheerful atmosphere and nobody is excluded. It doesn't matter what your skill level is; the trainers meet the participants at their levels making sure that you get individual support to learn the techniques correctly. Besides Luta Livre the camps offer a wide range of programs that you could never get bored. I am hugely looking forward to the next camp and I hope that more and more women just have the courage to sign up for the upcoming camps. Girls, you won't regreit it!" "We loved all classes and liked the way Nico started the lessons and the way he teaches the techniques step by step made the whole technique so easy to do, it was like it always was a natural way to move. What we also liked was how the food and drinks was organized. And most of all… The instructors! Not only Luta Livre, Wrestling and Judo was important, but also how to take care of your body with regenerative gymnastics and Yoga. We realized that was THE most important aspect that lots of fighters seem to forget. Breathing and anatomy is just as important. So thanks for showing the unknown! 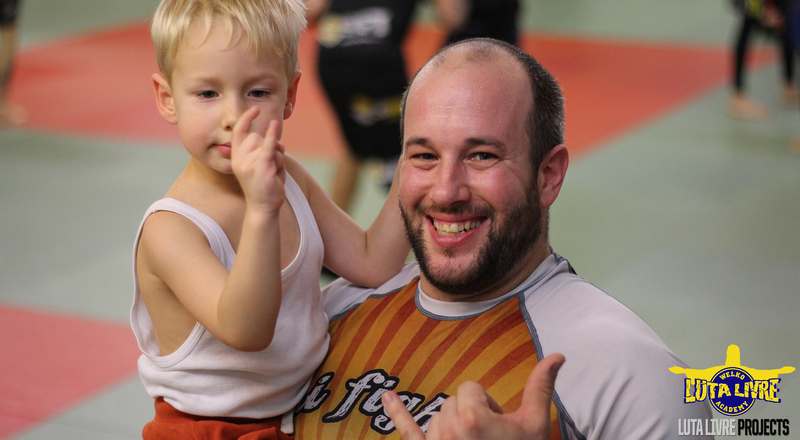 It was a positive experience and we would like for others to experience this too"
"With a certain tension we arrived on Saturday the event location since one had heard some stories about the rivalry between Luta Livre and BJJ. But fortunately it was no signs of it at all. The whole camp was characterized by Nico's motto Good Vibes Only. Over 2 days a variety of techniques were taught and practiced. And since Nico leads the training camps under the heading "share the knowledge, share the message", it was not just all about Luta Livre. Techniques from wrestling and judo were also shown and practiced. The biggest challenge, however, may have been for some of the participants the yoga session on Sunday morning. It was very interesting to get an insight into a slightly different approach to some takedowns, submissions and their defenses. Thanks to Nico for a great and politics-free weekend"